To provide educational opportunities of excellence in a Christian context, addressing the needs of individuals for lifelong learning. What drives one to step boldly where no one has gone before; to overcome obstacles and achieve great things against all odds? Strength of character is integral to greatness, character born of a spirit of determination and values. 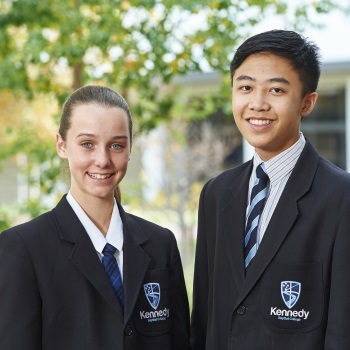 Kennedy Baptist College believes one's strength of character needs to be nurtured. 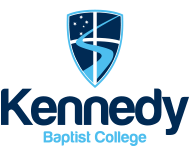 Kennedy Baptist College was formed in 2013, to provide quality Christian secondary co-education that nurtures students' confidence and character. The College's namesake, WA pioneer Baptist Minister William Kennedy, overcame seemingly insurmountable challenges to establish churches in Western Australia's regional areas in the early 1900s. Kennedy was known as a man of integrity and audacity by the communities he served, and his passion and determination was infectious. At Kennedy Baptist College, students are expected to strive for personal excellence in all that they do. 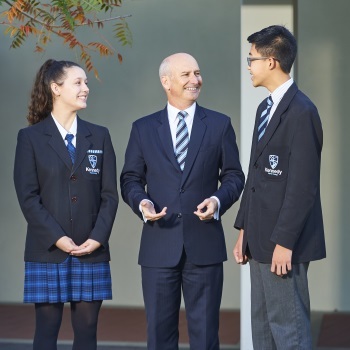 This translates to a positive learning environment where students are required to display high standards of behaviour which are reinforced by an exceptional Pastoral Care Program. 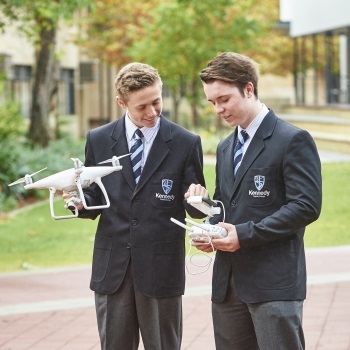 It is the spirit of Kennedy's story that underpins the College's values and inspires students to 'strive today, conquer tomorrow'. Armed with strength of character and Christian values, Kennedy graduates will be equipped to seize life's opportunities.